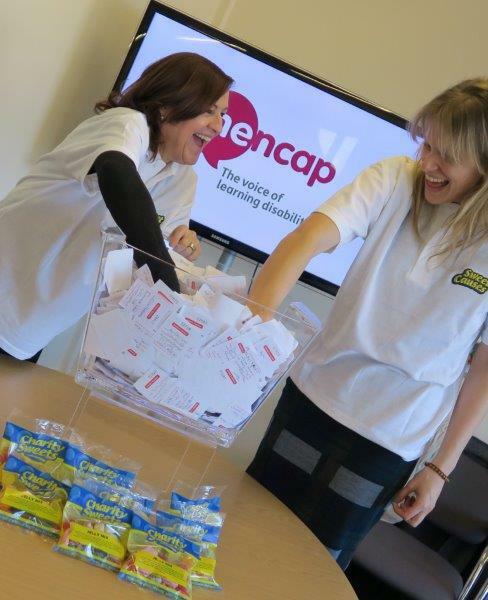 Mencap visits our new Factory – Free Christmas Draw 2015 – Charity Sweets by Sweet causes Ltd. 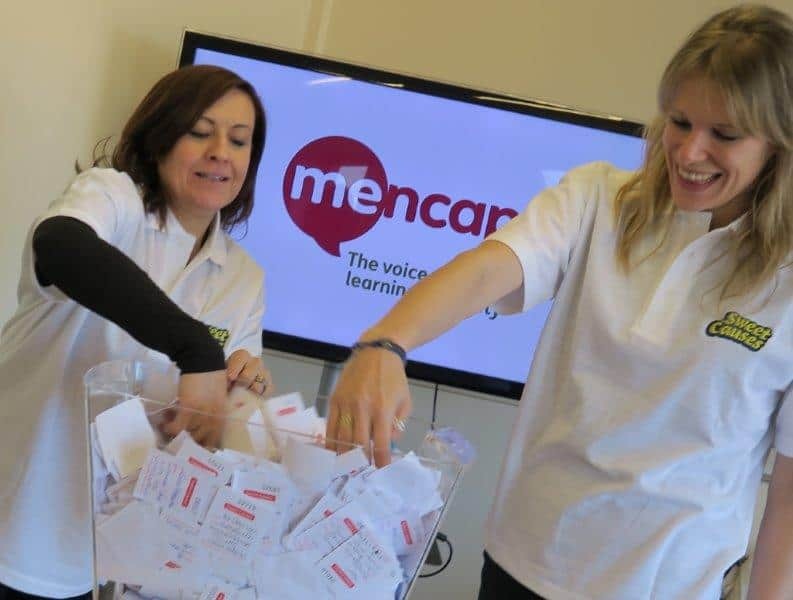 It was all very exciting when Mencap staff Jonada Appleby and Lucy Groen visited us at our new factory to volunteer to kindly help pick the winners for the Sweet Causes 2015 Free Christmas Draw. So many of you entered and all entries were put on clear view for all to see. Anyone that has not come forward to claim their prize, please feel free to let us know before next Christmas, won’t be long now! or it will be added to this year’s Christmas draw, so hurry! Contact us on the usual email address info@charitysweets.co.uk or telephone 0845 1120 1531 so don’t forget to enter this year and requests for your free raffle tickets, available from your local sales collector first week commencing in November 2016, it could be you this year? The draw will take place in February 2017 to give time for all the ticket stubs to be returned. We will keep you posted. Mencap help people with learning difficulties, they are the voice and strength behind those that cannot defend for themselves, they are the ones that listen when no one else will, they are the support when it is needed, they are a charity that do not discriminate, they are the ones that help support the vulnerable and their families when facing difficult times. So far to date we are proud to say we have raised an incredible amount of over £350,000 for Mencap.